The AquaCera CFM1-4S post-filter is used in AquaCera gravity fed systems. 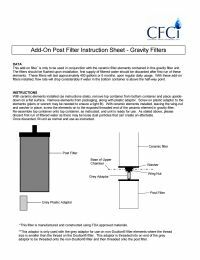 This add-on filter is for gravity filters only. The CFM1-4S was designed to reduce fluoride, heavy metals, nitrate and arsenic. This add-on filter easily threads to the bottom of the candles inside the reservoir. 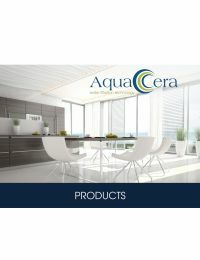 The AquaCera CFM1-4S is constructed with materials which are FDA approved. They can be back-washed with water to prolong media life.